Handmade. Sustainable. 100% Recycled. Sourced & made in California. 40 colors, 17 sizes/shapes in a matte or glossy finish. Ships in 2 weeks. Sustainable & socially responsible manufacturer. Can it be? Yes, we think Crush is also beautiful. The colors are stunning and can add that perfect pop of color to your space. And with all the options, you can have some fun doing it. Crush reds in matte or glossy. 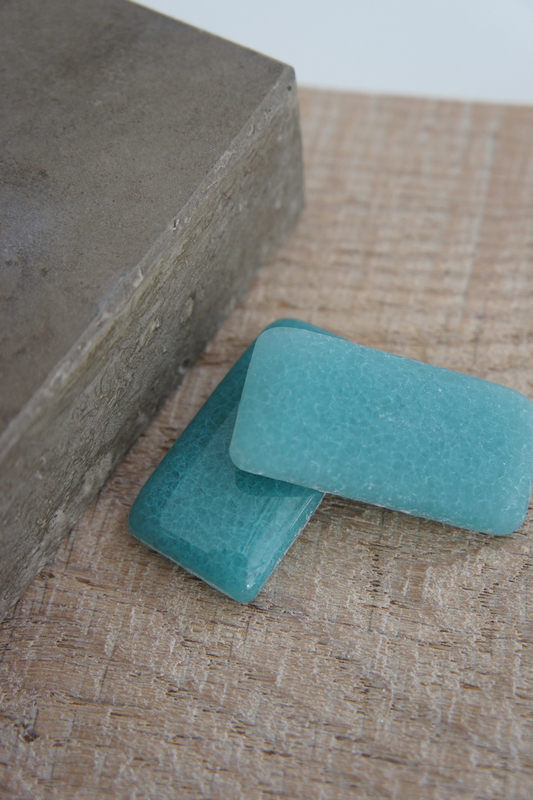 Crush is 100% recycled window pane glass that has been sourced from a window cutter facility located 15 minutes from where it gets *crushed* and processed into tile at the Fireclay factory in San Jose. Fireclay is eliminating over 1 ton (2200 lbs) of glass from the waste stream every week with this line. Since launching they have up-cycled over 55,000 lbs of glass just from this one facility location. 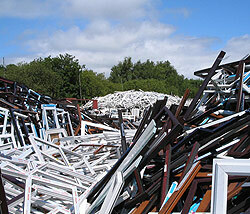 tons and tons of old windows sit in landfills. Isn’t it crazy how much waste we produce? We often don’t consider this because out of sight, out of mind. Great that there are manufacturers like Fireclay looking to make something more beautiful from trash – upcycling at its finest. Adding to their sustainable practices, Fireclay is mingling a proprietary glass fusing technology with state-of-the-art kiln firing, so their production requires only 25% of the energy required for traditional glass tile production. Crush Island Flower paired with rustic oak flooring & Squak Mountain countertop. Here we have paired Crush Island Flower with a rustic oak flooring and Squak Mountain Stone counter in Hazel (post to come!). We love the balance of natural colors and textures with a bright color or two. Clean, modern and eco…powder room? Glass tiles are non-porous so they are great for a number of applications. 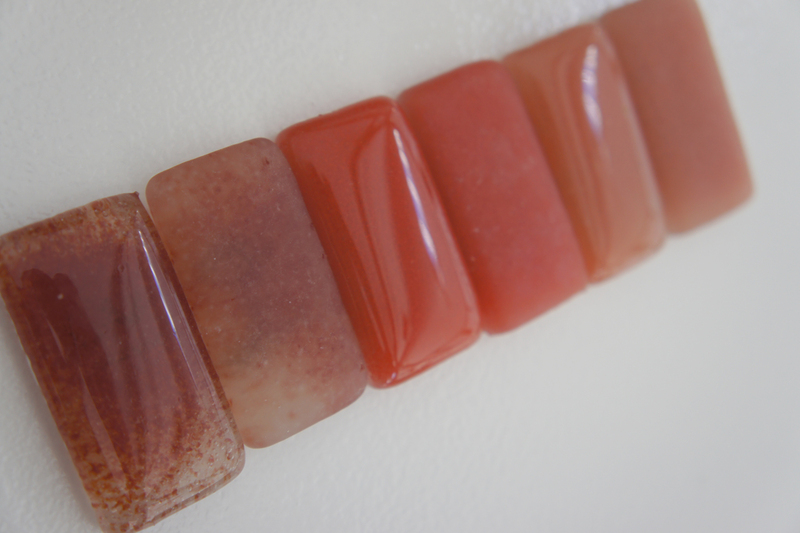 Tip: like most things handmade, you will find slight variations in color and texture with Crush. This is what makes each piece unique, but something to consider from a design and installation perspective. Sort through the tiles first, and strategize layouts so these variations become a strong design element. For maintenance, vinegar and water is a perfect natural cleaning solution. No abrasive cleaners. Thanks for following us, Molly! Believe me, I can totally relate. I’ve yet to really renovate my own home due to budgets. But the design process starts way before you start the construction. Take advantage of this time, as you are gathering funds, to learn as much as you can about all the products and options out there. That way when you are ready to make the investment, you are totally confident with what you are selecting. This is the fun part, so enjoy it! We will be posting about many more great products, including simple DIYs, so stay tuned.